Lentils are a pretty amazing ingredient. They're not only high in protein and fiber, but they also make an effective replacement for meat. Combining quinoa and cooked lentils together actually creates a crumbly texture, just like ground beef. This recipe will taste great to nonvegetarians, too. Serve it at a dinner party and know that you'll make everyone happy. You can sneak extra vegetables into the lentil loaf. So if you have leftover roasted vegetables, puree them and add them to the loaf. You can also add mushrooms, chopped spinach or kale, or frozen peas. It's a delicious way to add nutrition into your diet and get picky eaters to eat their veggies. Cook the quinoa according to the package directions and set aside. Preheat the oven to 375 degrees F. Grease a loaf pan with nonstick cooking spray or olive oil and set aside. 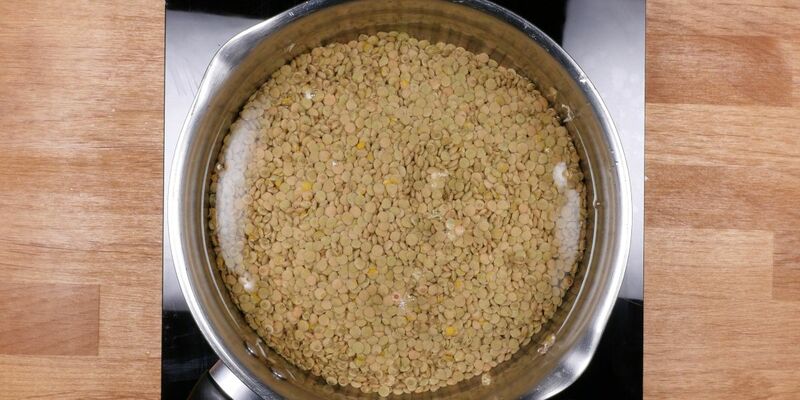 In a small pot, combine the lentils with just enough water to cover them. Bring the mixture to a simmer over medium heat and cook for 30 minutes, until the lentils are completely tender and have absorbed the water. Place the cooked quinoa and lentils in the food processor with the garlic, shallots, Italian seasoning, salt, pepper and spinach. Pulse until the mixture is coarsely chopped and resembles ground beef. Place the mixture into the loaf pan and bake for 45 minutes, until the loaf is lightly browned. Combine the ketchup, mustard and brown sugar in a small bowl. 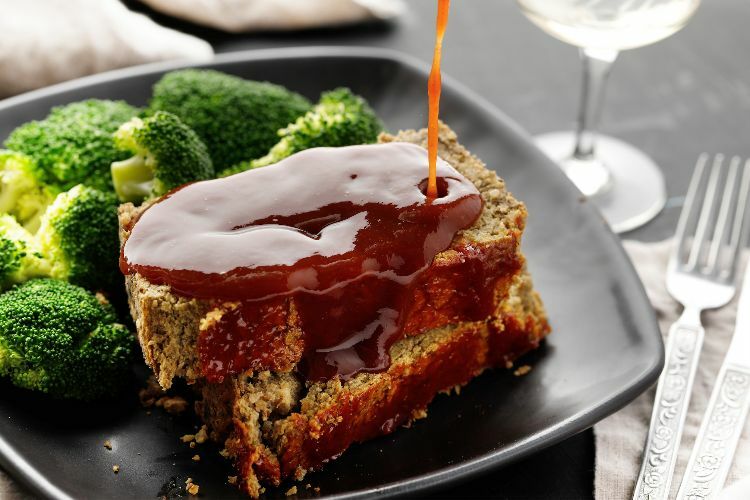 Brush the ketchup mixture on top of the loaf and cook for an additional 15 minutes, until the mixture is lightly browned. Allow the loaf to rest for 15 minutes before slicing.